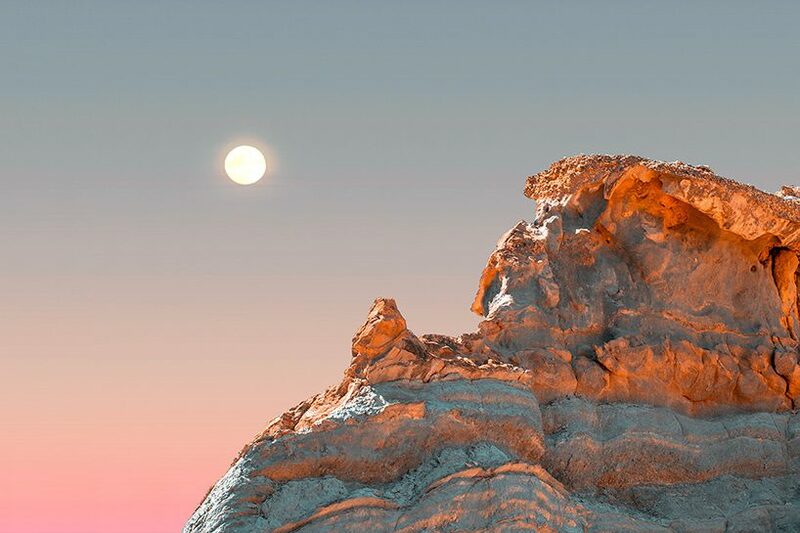 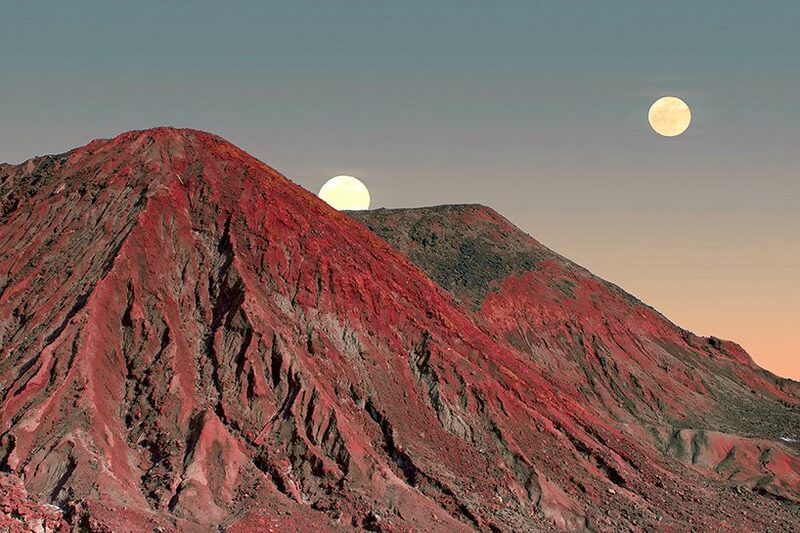 neuroscientist and photographer al mefer continues his story about the questionable future of humanity — first, he showed how people would search for refuges on other planets, then how aliens would refuse to host humans, and now the artist reveals the reason — the desertification of the world. 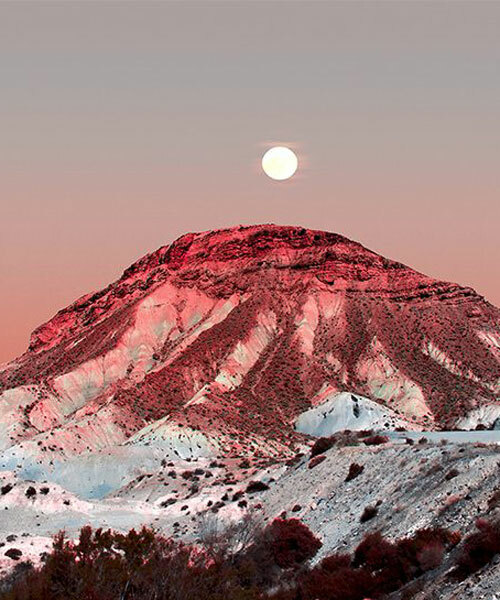 titled ‘deserts of the future: documenting desertification on earth and beyond’, the series of photographs explores the consequences of human overexploitation and climate change, which leads to land degradation and the loss of its vegetation and wildlife. 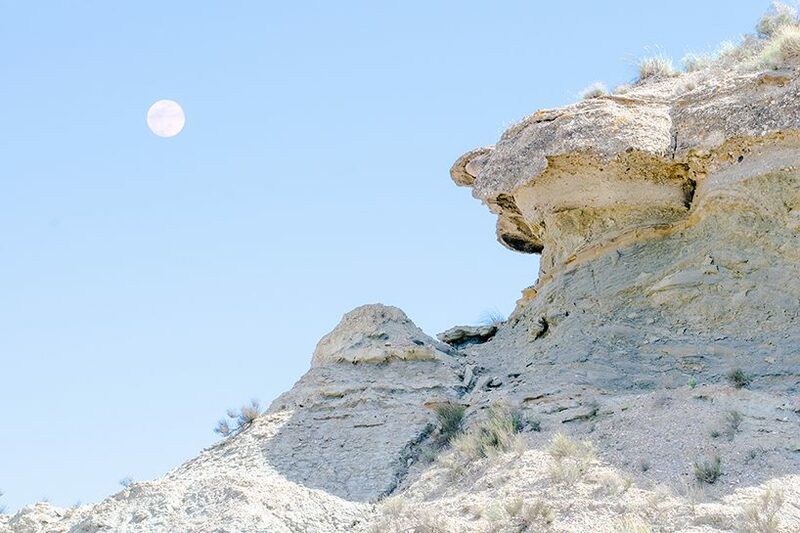 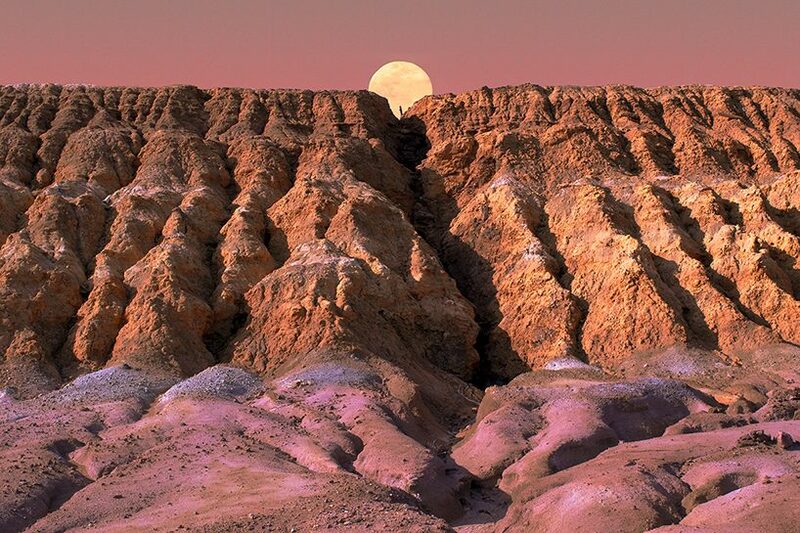 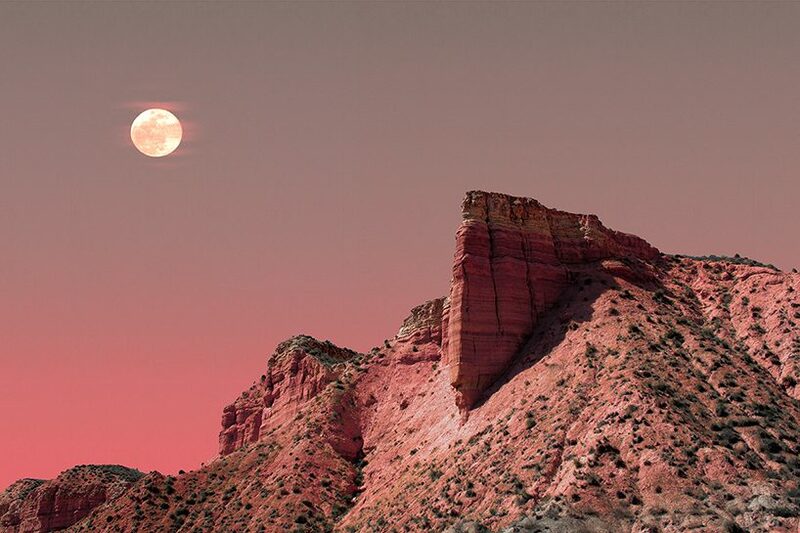 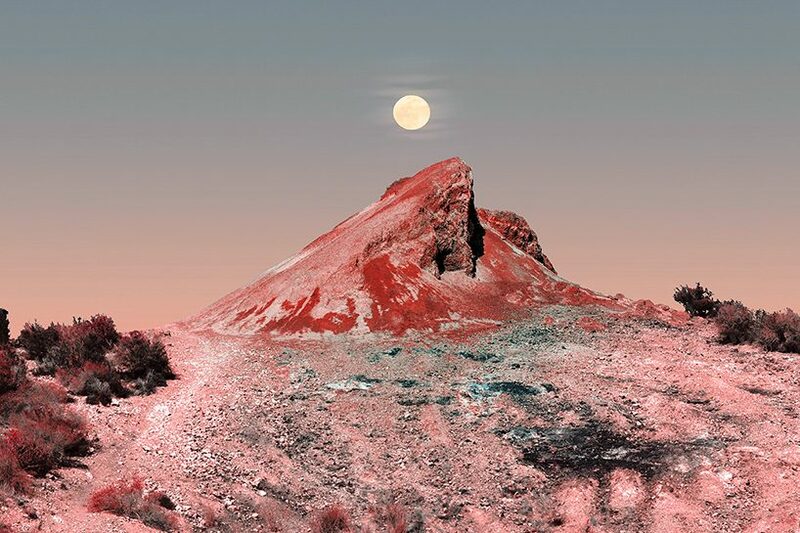 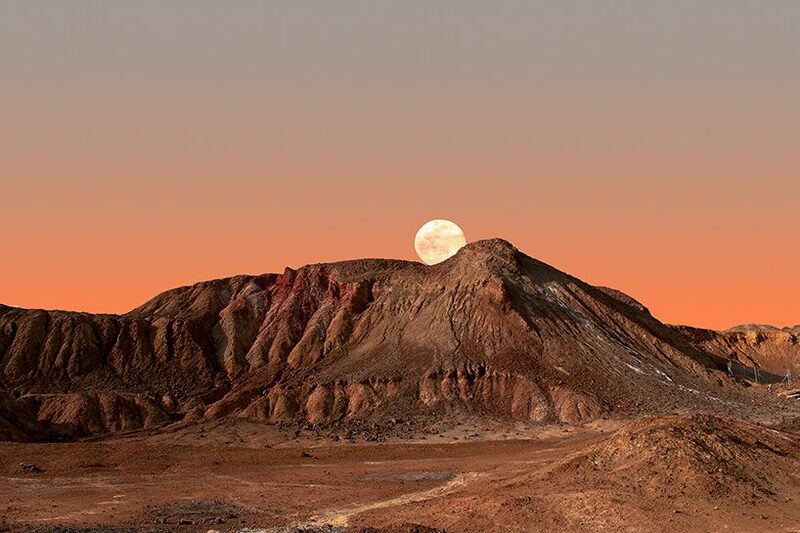 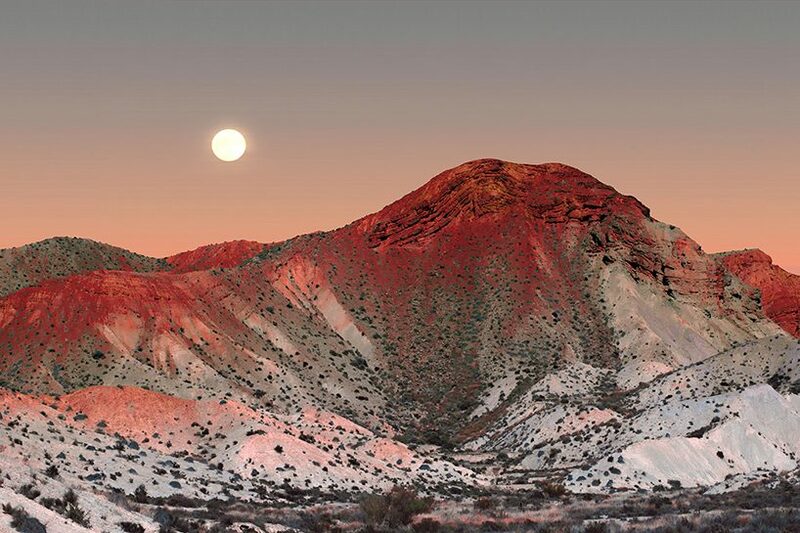 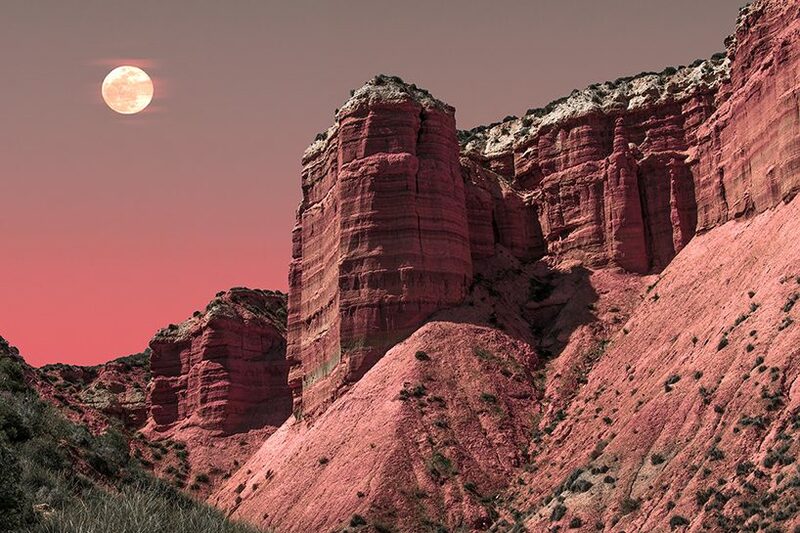 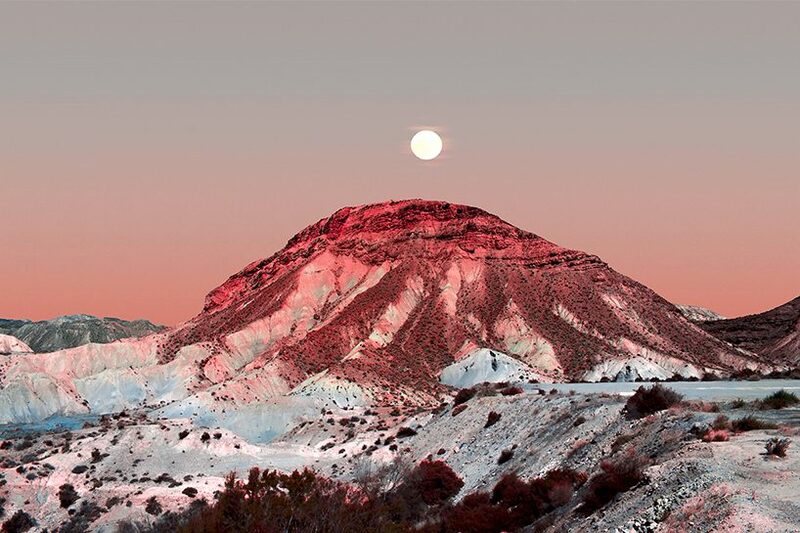 mefer shot the colorful mountains wilfully accompanied by the moon in southeastern spain where spaghetti westerns used to be filmed. 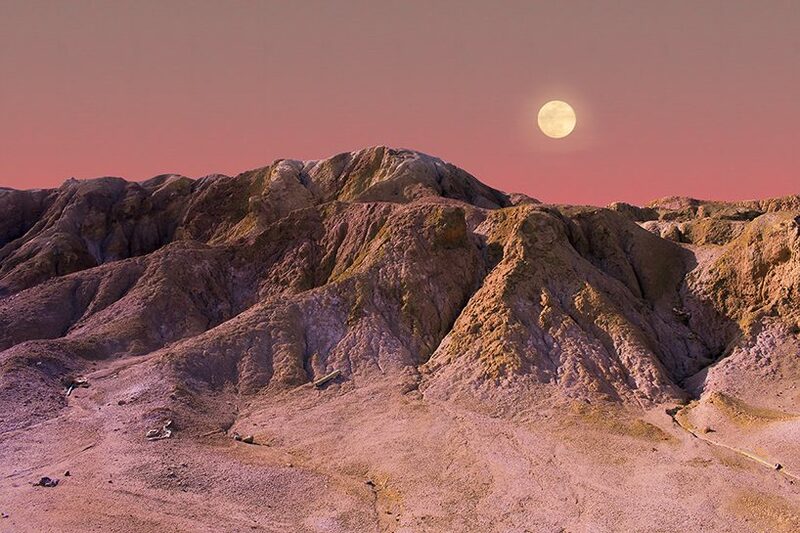 featuring landscapes such as the tabernas desert, the images were post-processed to obtain a science fiction aesthetics.